White sand and turquoise water! You can see the Gulf sitting on the couch! Sunny in the morning and shady in the afternoon keeping you cool on the hot summer days. Breathtaking view from HUGE Balcony - Incredible sunrises. 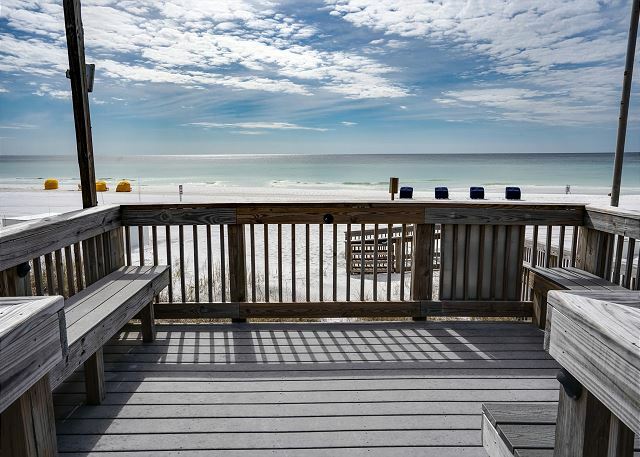 Located on the 16th floor of Westwinds, considered to be the best beachfront rental property in Sandestin, this unit enjoys beautiful views of the Gulf off of a HUGE (350 square feet – one of only two in the building) balcony. Facing East vs. West, the views from the balcony showcase spectacular sunrises. In the afternoon, because of its location, you can enjoy siting out on a shaded balcony with your favorite drink. 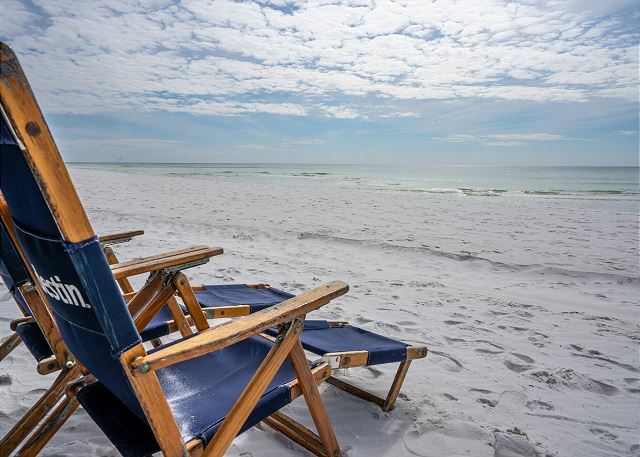 During the summer months and New Year’s Eve, you and your guests can relax and watch the spectacular weekly fireworks displays from the Sandestin Hilton– all from the comfort and convenience of your own balcony! 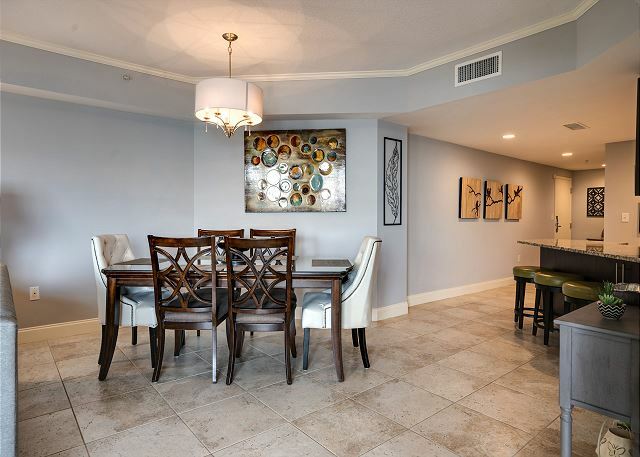 This spacious three bedroom/three bath unit has been totally updated and is elegantly decorated as shown in the pictures. 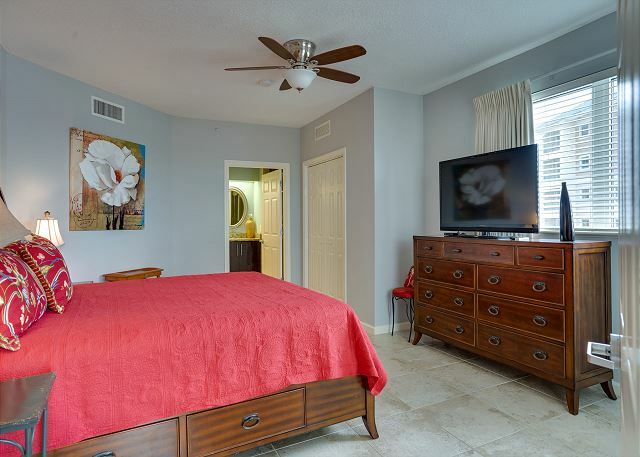 The master bedroom features a king size bed and views of the Gulf from both windows. 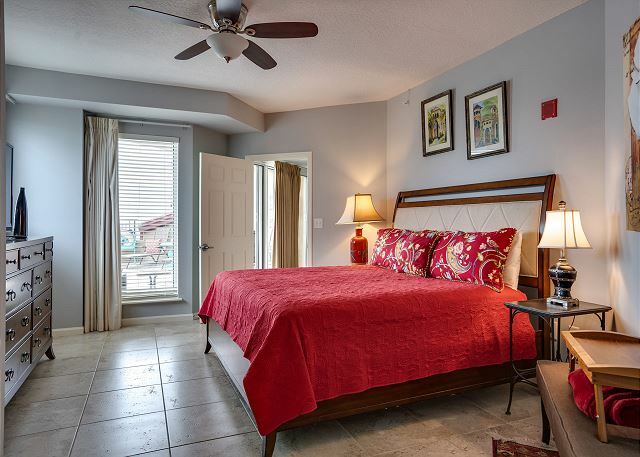 You have a view of the Gulf from your bed! 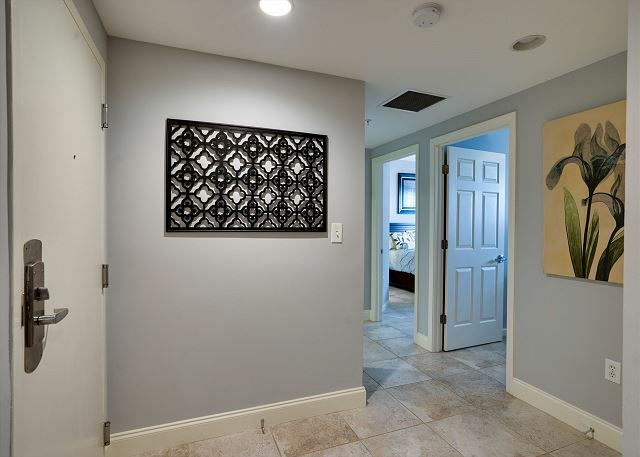 An en-suite elegant bathroom was totally remodeled with new cabinets and granite counter tops and a walk-in shower. The second bedroom is a second "master bedroom". 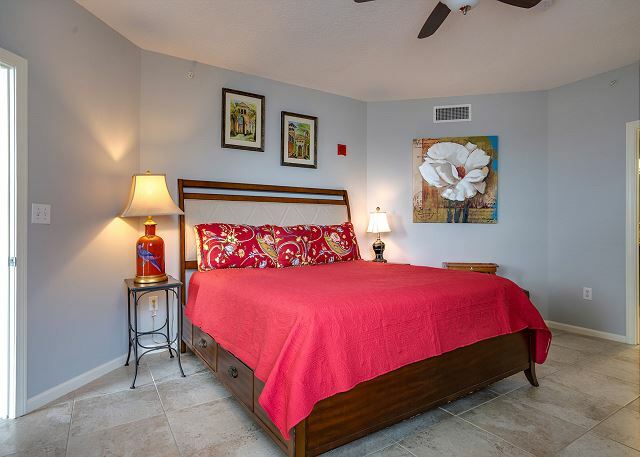 It is also furnished with a king size bed; has a view of the Gulf from its window and enjoys another en-suite remodeled bathroom with walk-in shower. The third bedroom sleeps six people. It includes a twin over full stack system, a twin over twin bunk bed with a trundle for one more sleeping accommodation if needed. The mattresses are comfortable and fit both kids and adults. A full bathroom with tub/shower combo is dedicated to this bedroom. 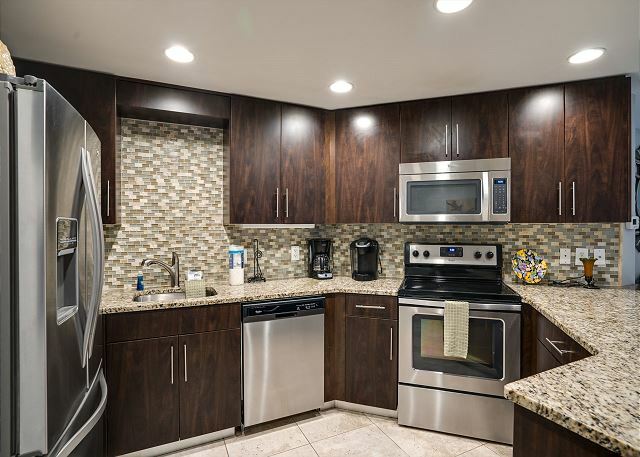 The luxury kitchen includes all stainless appliances, beautiful custom cabinets, granite countertops and a gorgeous backsplash. 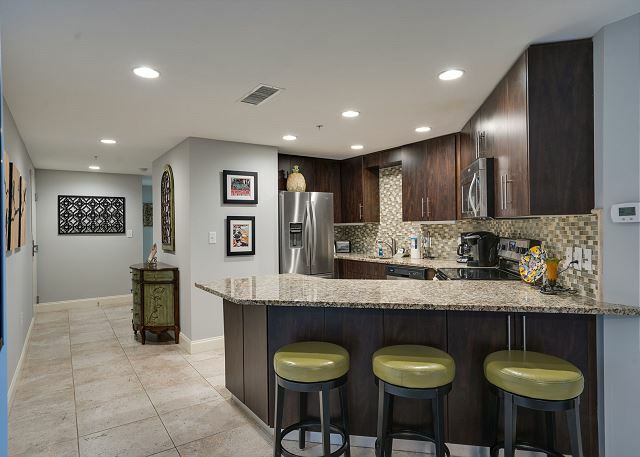 In addition, you will find that the kitchen is well equipped with serving ware, pots and pans, glassware, toaster, blender, Keurig Coffee pot as well as a regular coffee pot. If you feel you are missing an item, call us and we will provide. 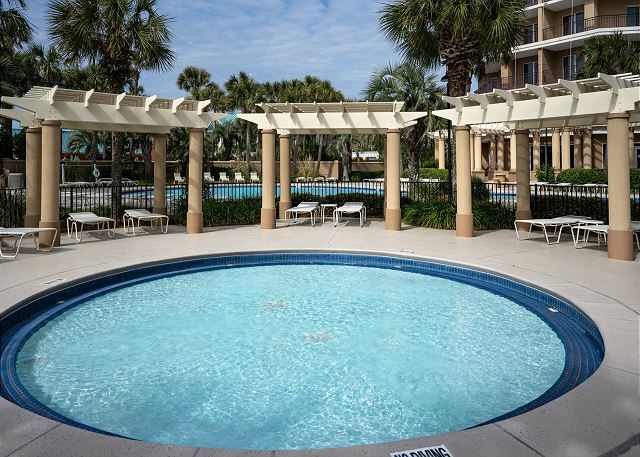 Westwinds’ pool may be the “best” one on the Resort. 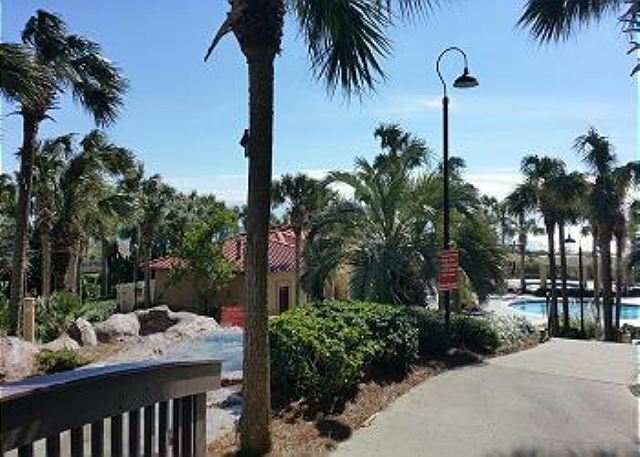 Enjoy the tropical setting with lush landscaping and waterfall, a poolside Tiki hut (seasonal), a hot tub, a children’s pool and grills pool side. The fitness area overlooks the pool and beach area so you may be tempted to keep up with your daily workout even on vacation. 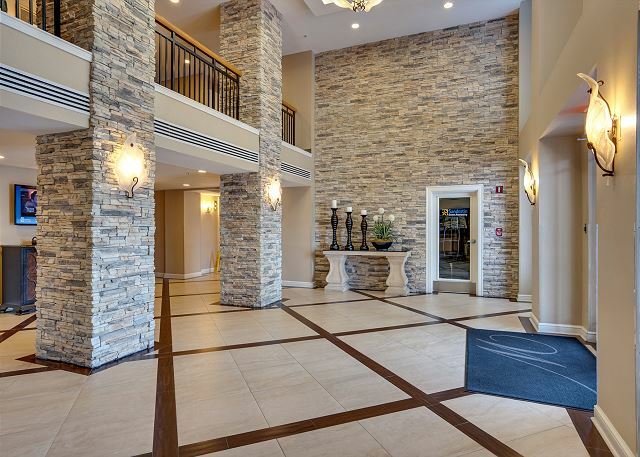 Westwinds community features gated upper deck and covered parking, secured access to building and beach, fast and reliable complimentary WIFI, four elevators, large lobby area and luggage carts. 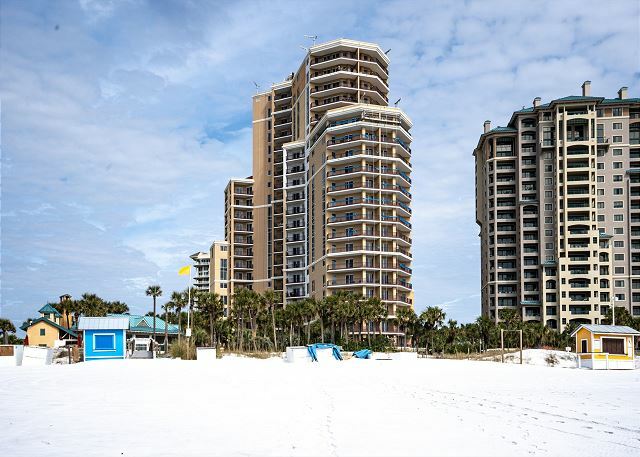 Westwinds, a 21 story absolute BEACHFRONT highrise at Sandestin® Golf and Beach Resort, offers incredible amenities and is considered to be truly the best of the beach. 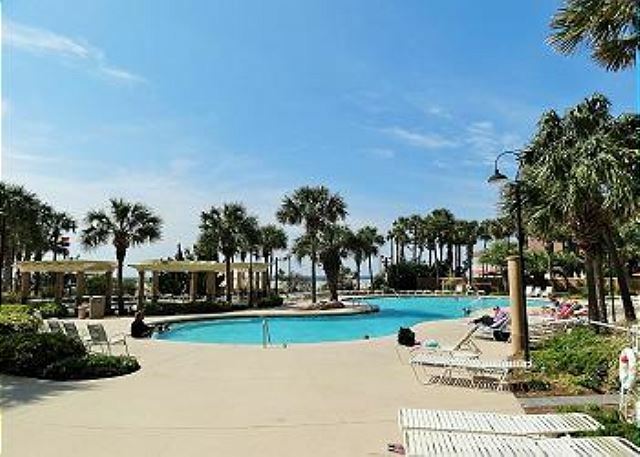 Must be 25 years of age or older (renter and guests) unless accompanied by guardian. No Smoking. No Pets. Violators will be charged a fine of $300. All information provided is deemed to be correct but is subject to change. Our family thoroughly enjoyed our stay here. 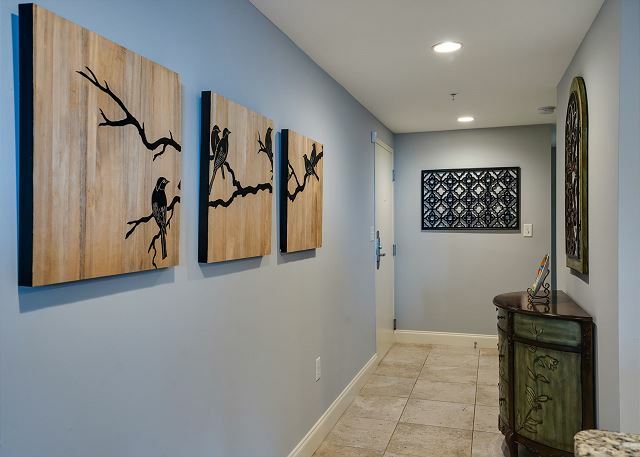 The condo is beautiful and tastefully decorated. It was very clean and with everything we needed. The view of the gulf from 16th floor was spectacular. We loved the large balcony. The staff was very polite and helpful. I would definitely stay here again! Melinda: Thank you so much for the wonderful review and the 5 stars in every category. With that in mind, I am not sure why the "Overall Satisfaction" was a 4...…. Is there anything else we could have done? Please let me know as these reviews are very important to us since they dictate our position on the VRBO lists. 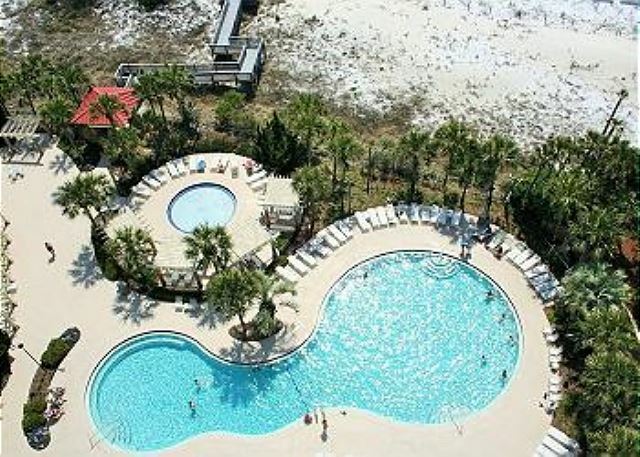 My family made last minute spring break reservations with Destin Memories. I am extremely skeptical of vacation rentals not knowing what you might get. Our experience was excellent. The condo was exactly as described, was in a great location, and Tania was awesome to work with. The location and atmosphere was perfect for us. The complex was approximately 1/2 full I would guess. Not too busy. Very close to the excitement if that’s what you are looking for. Everyone we dealt with was polite, just an overall great experience! Marc: What a wonderful review! Thank you so much! I am delighted that you were pleased with the whole experience. Please do come back. I always extend a 10% discount to HAPPY GUESTS! 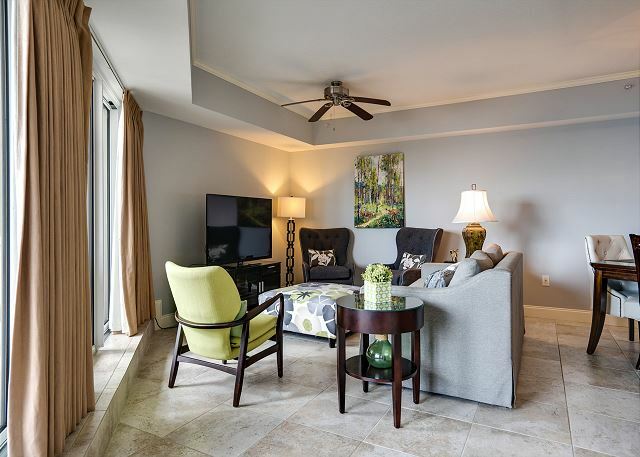 This condo in Westwinds was absolutely fabulous and right on the beach. 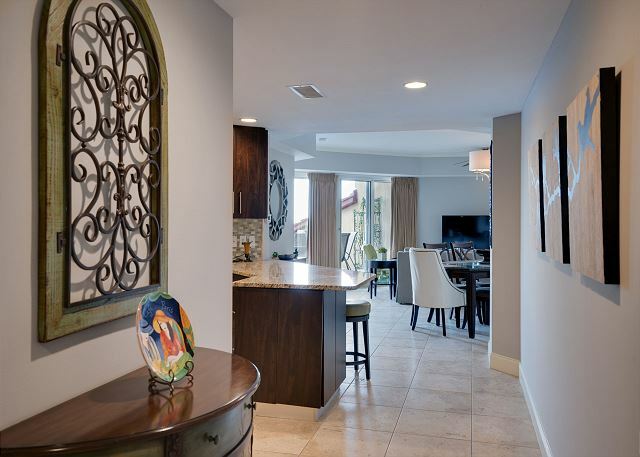 It was beautifully furnished, very spacious, clean and in excellent condition. The building and resort grounds were kept immaculate. The unit had everything you need and then some for a great vacation. WOW... Thank you so much for this wonderful review. So happy to hear you were so please. Please do come back!